Clint Frazier hit a pair of home runs, and Paul Hendrix also went deep as the Lynchburg Hillcats plated a season-high 12 runs on a season-best 17 hits to defeat Frederick, 12-8, in the series opener at Nymeo Field and Harry Grove Stadium Saturday night. Lynchburg and Frederick combined to send 18 men to the plate in the first inning. The Hillcats held a 6-2 lead when it was all said and done thanks to six runs on seven hits, including a home run by Clint Frazier as the second batter of the game. The offense continued at high throttle with an RBI double by Nellie Rodriguez to drive in Bradley Zimmer, who had singled one batter earlier. It gave Rodriguez his league-best 37th RBI of the season. With Nellie Rodriguez at second, Paul Hendrix delivered the second Hillcats home run of the frame for his third homer of the season, giving him 14 RBIs this year. Following a Mike Papi single, Joe Sever doubled down the left-field line to make it 5-0. One batter later, Ivan Castillo singled in Sever to make it 6-0, as the Hillcats sent 10 men to the plate against Luis Gonzalez. After Frederick scored two runs in the home half of the first, the score remained 6-2 until the Hillcats sent 10 men to the plate and scored six runs again in the fourth. Castillo and Luigi Rodriguez both reached on bunt singles to open the stanza before Frazier went deep for the second time to push the margin to 9-2 in favor of the Hillcats. Later in the frame, Nellie Rodriguez scored on an RBI single by Eric Haase, and Papi drove in a pair on a double to make it 12-2 Hillcats in the fourth. Frederick took its turn sending 10 men to the dish in the fifth. Tucker Nathans hit a leadoff home run to right field. Trey Mancini doubled, Brenden Webb walked, and Adrian Marin singled to load the bases with one out. Anthony Caronia singled in a run to bring it to 12-4. Johnny Ruettiger plated another with a sacrifice fly to center field. With the score 12-5 and the bases loaded with two outs, Josh Hart and Tucker Nathans both walked to cut the margin to 12-7. 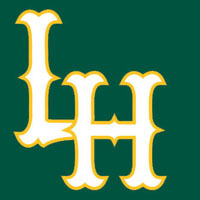 After scoring 12 runs on 15 hits in the first four innings, Lynchburg only posted two hits for the rest of the game. Meanwhile, once Frederick scored five in the fifth, the Keys only added one unearned run and two hits for the remainder of the evening. Robbie Aviles (3-1) earned the victory out of the bullpen after Michael Peoples did not qualify because he only went 4 1/3 innings. Peoples surrendered six runs on five hits, though two of the runs were unearned. Aviles only conceded one hit in 2 1/3 innings of relief. Lynchburg looks to continue its offensive display at Nymeo Field at Harry Grove Stadium Sunday at 2 p.m. D.J. Brown (2-2, 4.54) will start against former Hillcat Jarett Miller (2-1, 4.00). Fans can tune in to the action on ESPN Virginia 93.3 FM and 1320 AM as well as www.lynchburg-hillcats.com beginning at 1:40 p.m. for the Hillcats On-Deck Show.